The Phineas Park apartment complex was completed in 1984 to provide housing for the low and moderate income families consisting of one or more individuals. Located on a hillside near the center of Bethel, it consists of 14 one bedroom units and 11 two bedroom units. This property is designated as a low income multi-family facility and receives subsidies through the US Department of Agriculture's Rural Development (USDA/RD) program. 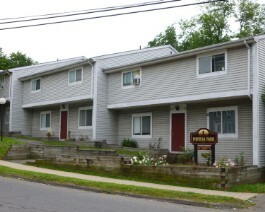 Individuals and families must meet the guidelines set by the USDA/RD, State of Connecticut and the Bethel Housing Authority’s Tenant Selection Plan in order to qualify to reside in these apartments. Assisted living is not provided at this facility by the Housing Authority.